Today was a huge day for competitive Call of Duty as the Advanced Warfare multiplayer reveal was broadcasted live from Gamescom in germany. Sledgehammer Games released a plethora of information regarding eSports. The first thing and arguably one of the most requested features was the return of Hardpoint. First debuted in Black Ops 2 it quickly became the favorite among players. The gamemode wasn’t available for play in Ghosts, but Sledgehammer listened closely to the fanbase and brought back Hardpoint. Next we saw a classic game mode that also was left out of Ghosts, Capture the Flag. CTF has been a fan favorite and a key piece in competitive Call of Duty. The mode, like Hardpoint was highly requested by professionals and casual gamers will see its return in Advanced Warfare. Broadcaster mode was a quintessential part of Competitive Call of Duty during the 2013 and 2014 season. 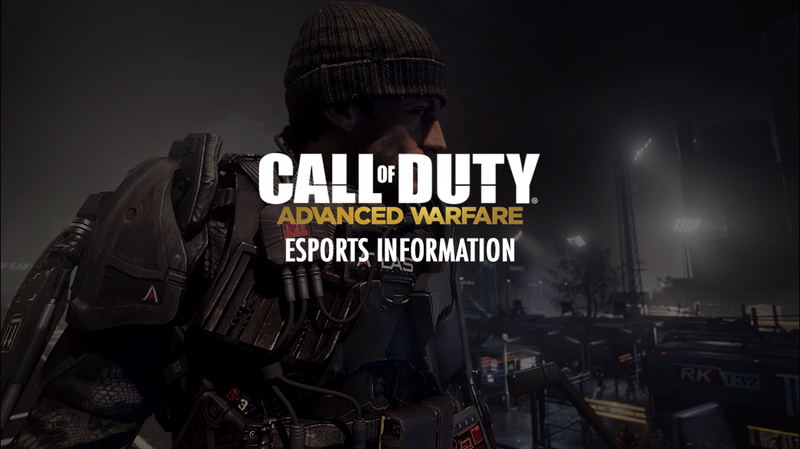 Advanced Warfare will feature a brand new and revamped Broadcaster Mode. First debuted in Black Ops 2, ranked playlists rapidly grew Competitive Call of Duty. The 4v4 format quickly became a fan favorite from casual gamers all the way to the pros. Unfortunately, Ghosts did not include a ranked playlist for this format, but it will return in Advanced Warfare.